Whenever people ask me about creating surveys, they are usually looking for one of two things. 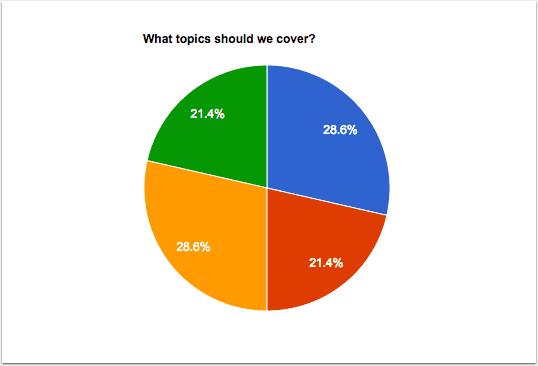 What tools are available to create online surveys. What plugins do I recommend to create surveys. The direct answer is, I use neither. Here’s why. Since surveys are not something I do with enough regularity, it’s one service I don’t keep track of who’s leading and who’s not. Though I am aware of them. Besides, I like having full access and control of the data I collect. Sure, you can export the results but leaving hosted third party systems can be a pain. If you have multiple surveys done over time, you’d have to first re-create the survey in your new system, then go back to all those pages to change them out. As for plugins. It may be strange for someone who owns a plugin development company to say. I try not to install a new plugin each time I have a new requirement. That doesn’t mean I never install new plugins. Only, I first try to evaluate if a plugin that’s already installed can do the job. I’m happy to say, almost all my WordPress powered sites are already equipped to do surveys from the get go. How? Because whenever I install a new site, among the first plugins that get loaded is Formidable. Formidable is a really powerful, form plugin for WordPress and their support is super responsive. I’ve used them for years on end with almost no issues. 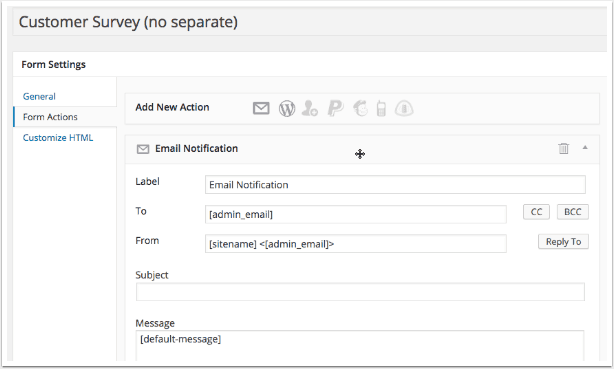 Because it is so highly customizable, you can easily use this for simple surveys. There is a free version from the plugin directory and it will let you get the job done. Some options like graphing display for front end, statistics are not available. You’ll need a pro version for that, which will be worth every penny because you can do so much more with it like a user directory for example. Here’s a screen shot of a basic two question survey I created. What I love about building surveys with Formidable is the drag and drop functionality. Basically you figure out how you want people to respond to your answer e.g. 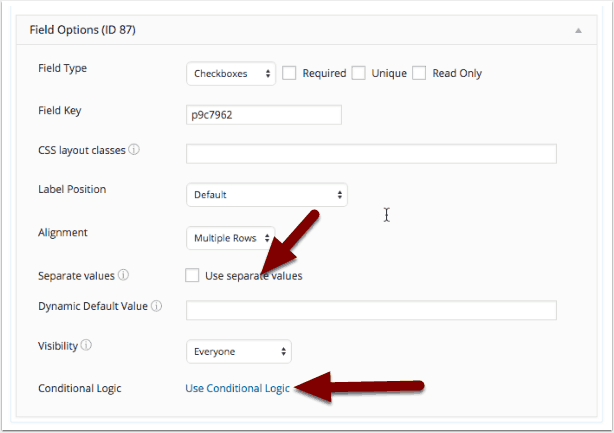 Multiple choice, option, text field etc, then you drag the field and it onto your form builder. You will then be asked to enter your question and answers. You also have a bunch of different options how you want each field to be used and displayed. There’s some powerful stuff here especially conditional logic where you can make some serious magic happen. However, the one I’d like you to pay attention to is the Separate Values checkbox. You want to check it. You don’t have to, but I find the data more readable and meaningful when using separate values. Here’s a quick snapshot of the same form, with the same data entered. The only difference is one is separate values and one isn’t. As you can see, the one on the left shows the number of votes for Email Marketing only, the number of votes for Email Marketing and other topics, the number of votes for Lead Generation and other topics and so on. On the right, is the same survey except this time with separate values. This time, it shows you the total times Email Marketing is requested, the total of times Lead Generation is requested, The total of times Product Creation is requested and so on. Which you choose depends on how you want your data to be read. I just prefer to always choose separate values. After building your form, you can choose what to display after someone submits the survey. Depending on your survey structure (e.g. If it’s a vote), you can also choose to limit entries by user log in, IP address or cookie. You can also edit the message people see after they submit the form, which is highly recommended. Finally, there is the Form Actions tab. You’ll want to review this. 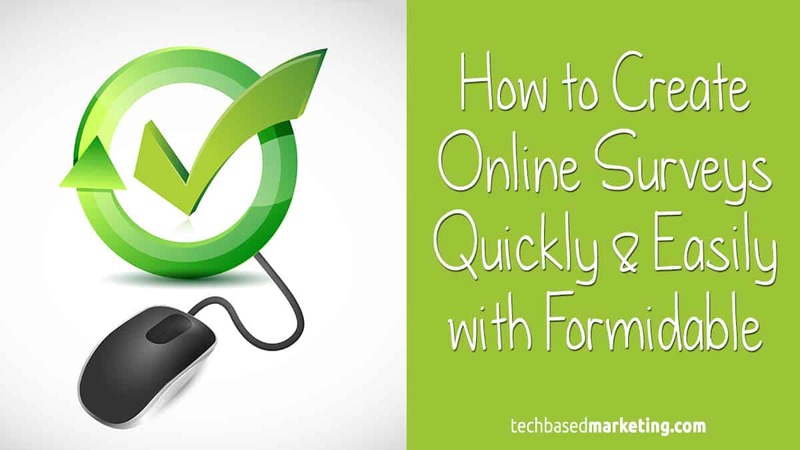 By default, Formidable is set up to email you (or the site admin) every time the form is submitted. If you’d like that, you may want to open up the email notification to see if there’s anything you’d like to change. You can also set it to send the notification to a different address if you choose. Most times I find notifications to be a pain when doing a survey and will simply disable that by clicking the trash can for Email Notification. There are a lot of different tabs and options in here. These are only a few I’m highlighting to show you how to get the survey built quickly. 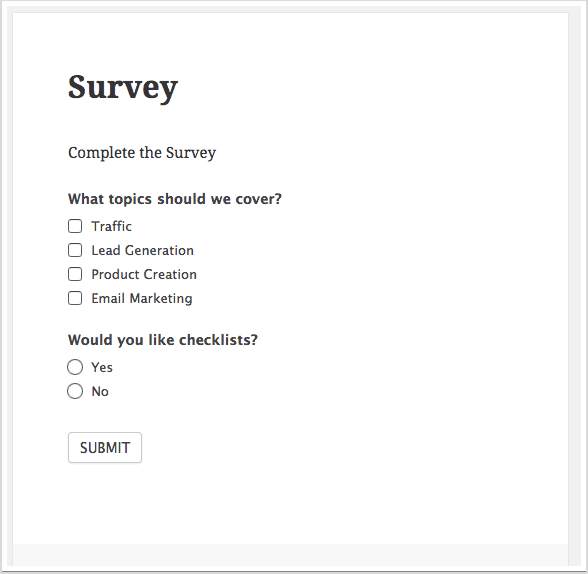 After building the survey, you can choose to put the survey inside a post or page. This is recommended for easy promotion. You can also choose to put the survey in your sidebar as Formidable comes with widgets you can simply drag and drop into any sidebar on your theme. Once you start receiving responses, you can view reports to give you a very quick snapshot of the results. If that doesn’t do it for you, you can also create your own charts using shortcodes. Here’s one of the same data as above, represented in a bar chart. If you’re the mathematical type, you can create some interesting stuff. The only thing that could be problematic is, exported data doesn’t always make sense and is difficult to manipulate. This is because the data Formidable gives you is in the form of entries – it is a form plugin after all. So if you need data exported into another system for data study and manipulation, this may not work so well. For me, Formidable Pro is all I need since most surveys we create are to help give us a general idea where we’re going, how we’re doing, what our customers and followers are looking for. This doesn’t require a lot of data handling and what the plugin gives us is plenty. Formidable Pro has definitely been amongst the best investment I’ve made. If you’re still on the fence, you won’t regret moving to Pro. Here’s where to find out more about it.